The British royal family is now turning its attention to online resources as a means of promoting mental wellbeing in the workplace. 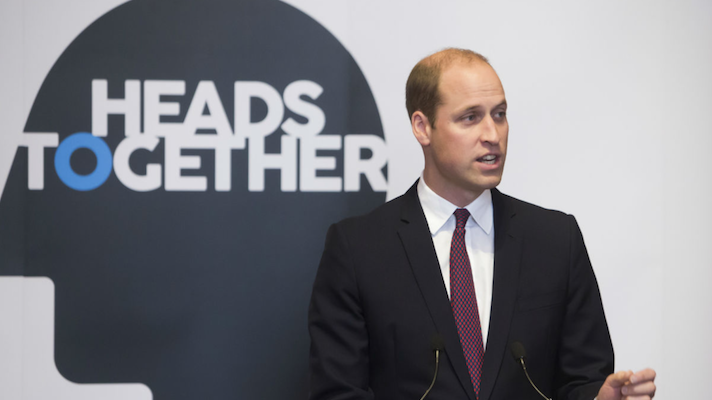 Earlier this week Prince William, Duke of Cambridge, launched Mental Health at Work, which aims to help link employers and employees to information and resources about mental health. The platform is supported by the Royal Foundation, a charity run by the junior members of the royal family that focuses on mental health, veterans, young people, and wildlife issues. “I'm delighted that The Royal Foundation has supported Mind [mental health charity] in creating such a valuable tool. If you are a business owner, a team leader, a line manager, you work in HR, or just believe in supporting the wellbeing of your colleagues — Mental Health at Work can help,” William said in a statement. “My ambition is that this gateway can be the start of a big shift in working culture. It can genuinely help businesses ensure mental wellbeing is part of everyday working life and because the places we work are so pivotal in our lives, they can also be the drivers of even bigger change. The new platform includes multiple toolkits for helping people handle mental health issues. Some toolkits are career focused — for example, there is one for people in the financial sector and another for people working in healthcare. Other toolkits are more general, such as promoting a positive work culture and tips for line managers. The site also gives both employees and employers additional resources for supporting mental health. Users of the site can access case studies about handling mental health and illness in a work place. "We need to stop people feeling as if they have to hide, and we need to make sure anyone with any responsibility for others at work knows what to do,” William said on twitter this morning. The Royal Foundation has had a longtime interest in mental health. In fact, last October the foundation announced that it had invested roughly 2.6 million to build a new startup set to develop digital tools aiming to improve mental health across the UK. Additionally, in November of 2017 the foundation brought together a taskforce focused on preventing cyberbullying. The group launched a new online code of conduct for supporting young people in a digital environment.